The HeyDJ! 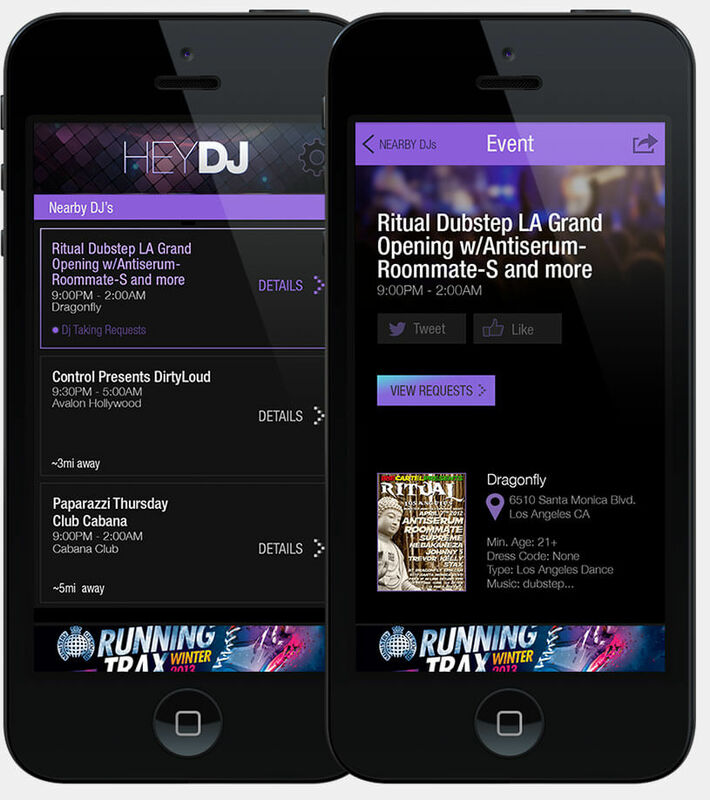 iPhone app is a fun, social app for music lovers, club-goers and DJs. 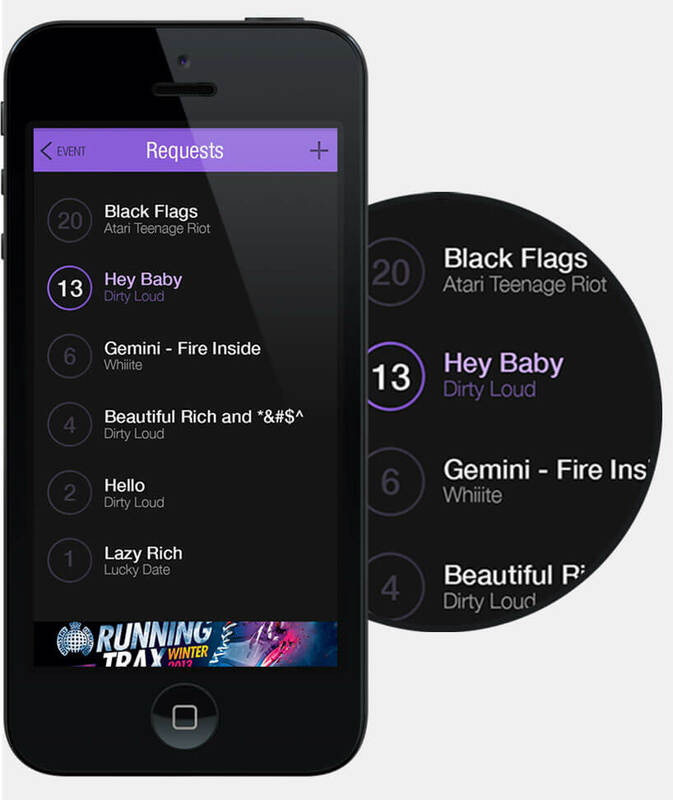 Designed with the clean, modern aesthetic of the latest iOS, the app connects DJs and audiences through song requests, event searches and social media. Using your location, the HeyDJ! app lists nearby events and who is spinning. Follow your favorite DJs on Twitter or Facebook right from the Event page. Users can view existing song requests, vote on a song or create a new request. The number of requests and playlist order are updated in real-time. Is great design MUSIC to your ears?